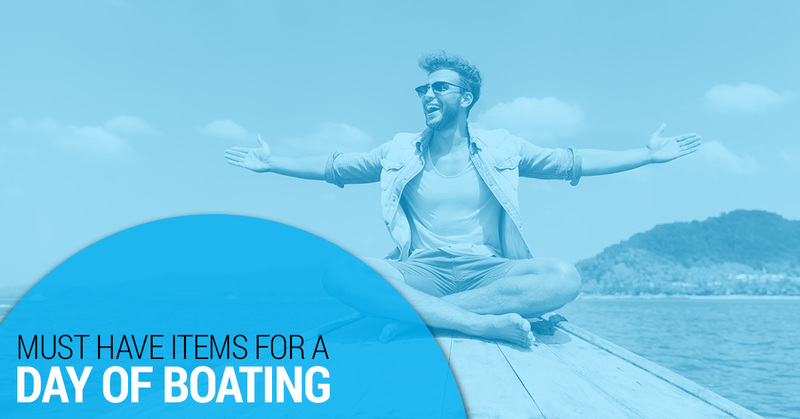 Whether you take your boat out on the water every weekend or just a few times a year, it’s critical to have the essential items onboard. We thought it would be good to use this post as a refresher on what to bring on your next boating journey. 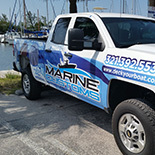 Boat registration – An easy one, right? Believe it or not, though, many boaters currently have an outdated registration. Please make sure you are following state laws while operating your vessel. We’re guessing you don’t want to pay a hefty fine just because you failed to update the registration. An extra pair of clothes – Unexpected storms can make for an uncomfortable outing. Do yourself and your family a favor by packing a change of clothes. Unfortunately, a tiny swimsuit won’t provide much warmth in inclement weather. An airtight cooler with food and water – A quality cooler is an absolute must if you wish to keep refreshments cold. In terms of what to bring for lunch, we recommend something simple such as peanut butter and jelly sandwiches. Will your family be craving snacks before or after lunch? Try something healthy and delicious such as almonds or granola bars. Lastly, be sure to pack plenty of bottled water, especially if you’ll be out during the heat of the day. First aid kit – Accidents happen from time to time on boating adventures. Ideally, the kit should include a combination of gauze, bandages, scissors, latex gloves, cotton balls, pain relievers (for seasickness), tweezers, etc. Trust us when we say it’s better to be prepared and not have to use your first aid kit than the other way around. Safety equipment – You want your passengers to be as safe as possible, right? Then we encourage you to take a look at our boat safety checklist. Be sure you have enough life jackets, as well as a sound-producing device and a working fire extinguisher. This preparedness will surely put your mind at ease. Sunscreen – Being out on the water without sunscreen is the perfect recipe for a bad burn. Our advice? Don’t just lather on SPF 5 and call it good. The best sunscreens offer broad-spectrum protection and a high SPF. One more thing: take the 30 seconds it takes to re-apply every few hours. Your skin will thank you at the end of the day! Towels – “Why would I forget towels?” Well, it’s not completely out of the question. So remember to bring several towels in dry bags. Has your boat’s flooring seen better days? Is the surface slippery and unsafe for passengers? 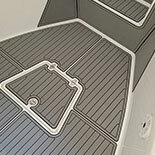 Then now is the time to consider high-quality boat decking from Marine Customs. A certified fabricator, installer, and supplier of non-slip decking, we make the process simple and stress-free. Would it be easier on your end to template the boat yourself? Just let us know and we’ll make it happen. 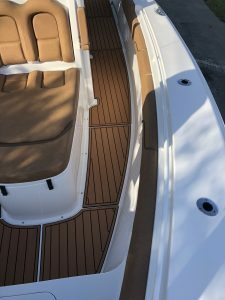 Some boaters call it non-skid decking while others refer to it as anti-slip decking or marine decking. 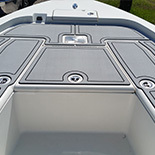 Whatever the case, know that Marine Customs is South Florida’s choice for EVA boat decking products.